HYPERTENSION. Treatment of hypertension. In using Zedace, consideration should be given to the risk of neutropenia/ agranulocytosis (see Precautions). Zedace is effective alone and in combination with other antihypertensive agents, especially thiazide-type diuretics. The hypotensive effects of captopril and thiazides are approximately additive. MYOCARDIAL INFRACTION. Zedace may be used to improve survival following myocardial infarction in clinically stable patients with left ventricular dysfunction, manifested as an ejection fraction less than or equal to 40%, and to decrease the incidence of overt heart failure and subsequent hospitalisations for congestive heart failure in these patients. The efficacy data for the use of captopril following myocardial infarction are strongest for commencement of therapy beyond three days postinfarction. HEART FAILURE. Treatment of heart failure. It is recommended that Zedace be administered together with a diuretic in symptomatic patients. DIABETIC NEPHROPATHY. Zedace is also indicated in the treatment of diabetic nephropathy in patients with type I insulin- dependent diabetes mellitus. White, oval, biconvex tablet, approx. 11.3mm x 5.8mm, with "CT/50" on one side and "G" on the reverse. 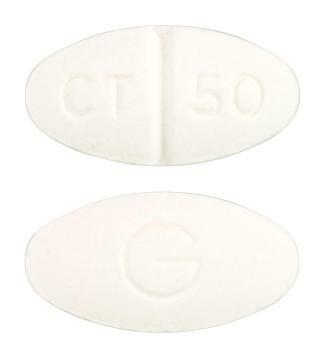 White, elongated tablet with partial bisect and "G" on one side and partial bisect and "C12.5" on the other. 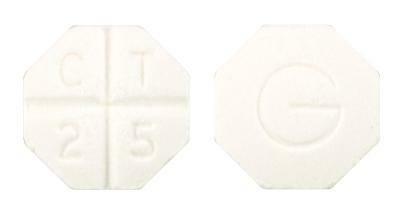 White, octagonal, biconvex tablet, approx. 6.5mm in diameter, quadrasected on one side with one character "C", "T", "2" and "5" in each quadrant and "G" on the reverse.